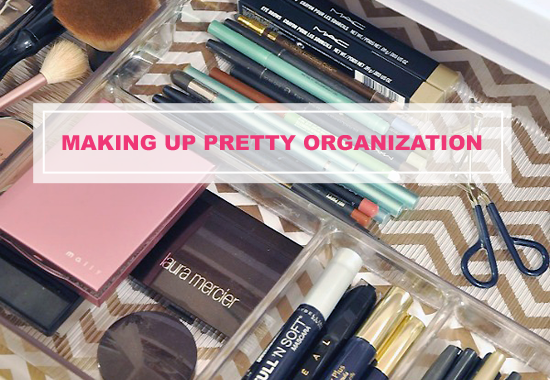 I have a weird weakness for makeup organization. Sitting down to put on a little makeup is one of the first things I do each day, so having it organized really just brightens my mornings right off the bat. 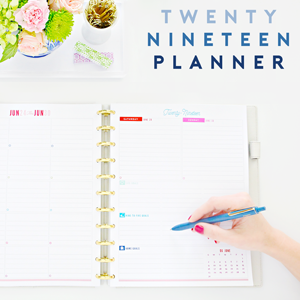 Megan of Honey We're Home blog feels the same way, and she is here today to give us all a glance at her personal system, and inspire us to start the day off with a little organized glam as well. Hi friends! I'm always fascinated by people's everyday routines, and for me, that usually includes at least a little bit of mascara. I feel naked without it! 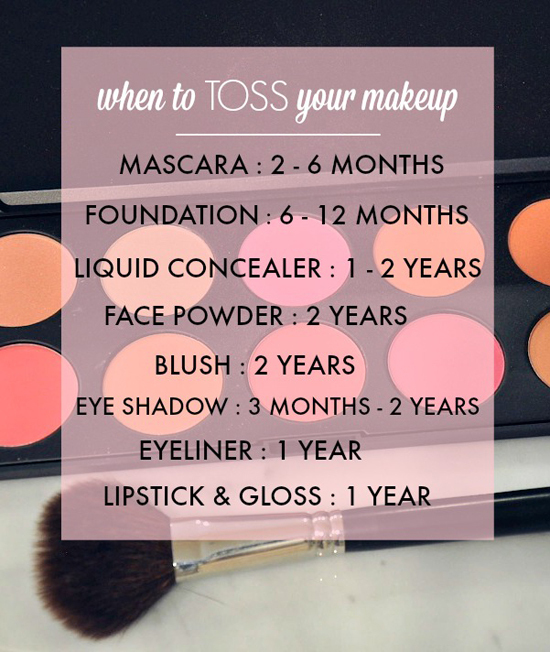 Although, I am often in only mascara, I do feel good when I've taken the extra few minutes to apply makeup. My routine only takes about 10 minutes for a full-face, but I've been wearing makeup since high school. 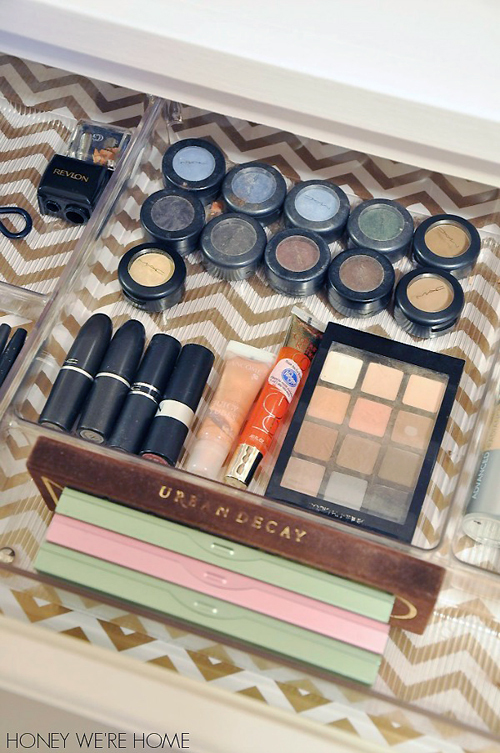 Now, I keep my makeup stored in the top drawer of my dresser in my closet. The closet gets lots of light and since the dresser is right next to a mirror, it's the perfect place to get ready each day. To make my makeup drawer extra pretty, I lined the bottom with gift wrap from Target in a gold and white chevron pattern. It goes well with the chevron paper on the side of the drawers. The drawer liner is just placed in the drawer, not glued down, so it's not permanent. The paper on the sides of the drawers is in place with spray adhesive. 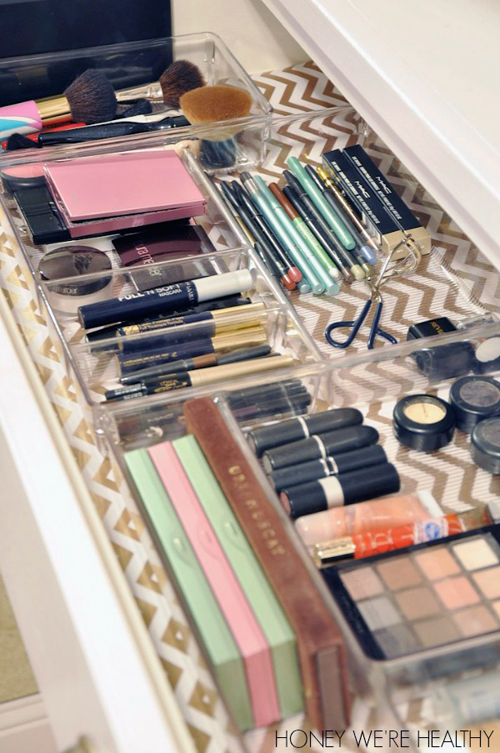 Inside the drawers, the makeup is divided by product type and contained in acrylic drawer organizers. 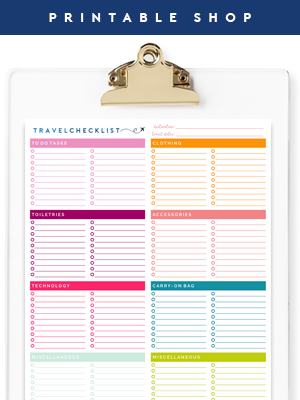 You can find these clear organizers in all sizes at places like Homegoods, Target, Walmart, The Container Store, and Amazon. They are durable and easy to clean with soap and water. My blush and contour brushes are all in one container and I found mine mostly at Mac or Target. 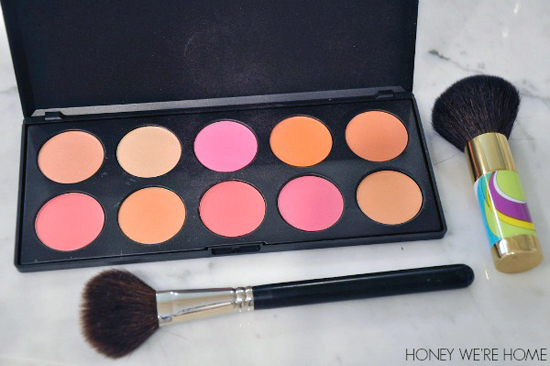 The fun paisley blush brush is from Target and this 10-color blush pallet was only $5 on Amazon. It being so inexpensive, I was worried it might break-out my skin or go on weird, but I love it. 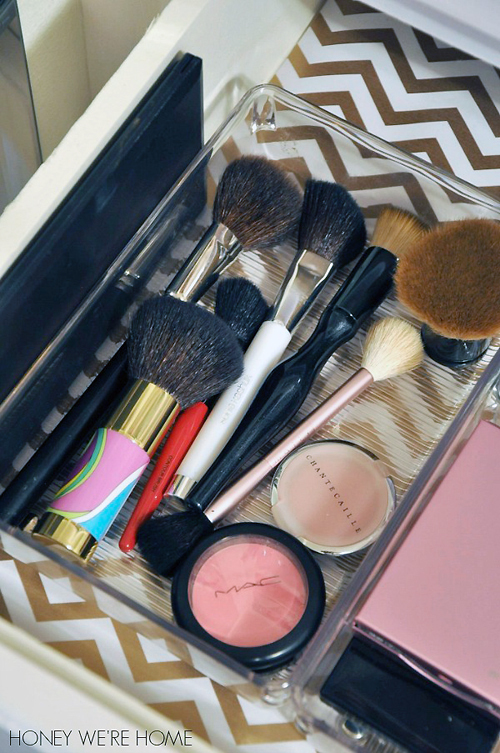 In the drawer, it stands on its side next to the blush brushes. My powders, mascaras, and pencils are contained in another compartment. I couldn't live without my eyelash curler! I typically use my Urban Decay Naked palette for eyeshadow, but I still have some from Mac and Target. 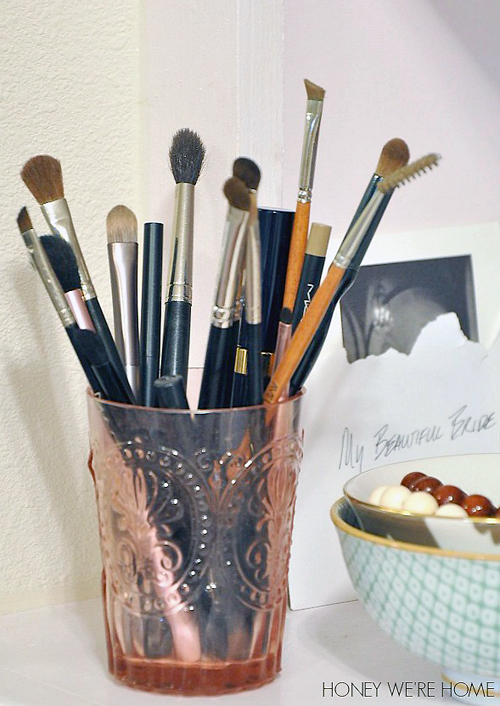 I keep a set of eyeshadow brushes and brow liner in a pretty cup on the dresser so I can keep them upright and since they are what I reach for most often. The cup and bowls are from Anthropologie. According to that chart, I'm sure I should be tossing some of those eye shadows and eyeliners! How do you store your makeup? Do you need to toss some too? "My name is Megan and I am a lawyer by day, design and decor lover by night, and Mama to the sweetest 2-year old boy you've ever seen. I'm passionate about fitness (and chocolate!) and could not live without my relationships, girl talk, and my morning coffee. 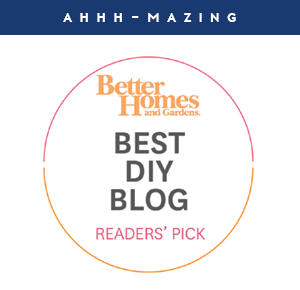 I've been blogging for two years over at Honey We're Home, sharing my love of keeping things organized and beautiful at our house. 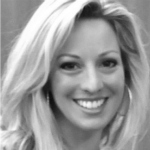 My efforts to live in the moment and cook more are an adventure in progress." Yes, and there are SO many more options in gift wrap! I love the drawer lining, such a great idea! I recently bought some wrapping paper to mod podge to the side or front of dresser drawers, but i love the idea of lining the drawer with it and keeping it non-permanent, because the bottom of my makeup drawers always find a way to get filthy with powder and stuff! Thanks for this...i just have my stuff in a makeup bag but need to get something more permanent! Hi Megan! 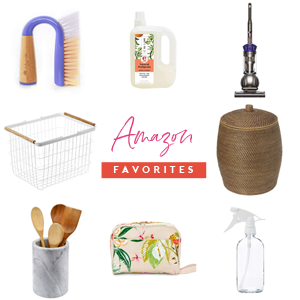 I also just love the chevron drawer paper, and the clear acrylic drawers organizers are among my favorite organizing products! I personally use 2-drawer translucent chests to organize my makeup (you can see a photo here: http://www.the-organizing-boutique.com/makeup-organization.html)...very easy to find what I need. Now I'm thinking about putting wrapping paper or washi tape or something in the bottom of my tiny makeup drawers to spiff them up a bit. Thanks for the inspiration! Those chests are awesome because you can see everything, but it's all contained. Glad you like the paper idea! Hi again! I was so inspired by your post, I decided to spiff up my makeup storage drawers with Washi tape. Here's the end result - http://www.the-organizing-boutique.com/makeup-storage-drawers.html . Thanks for the inspiration Megan! 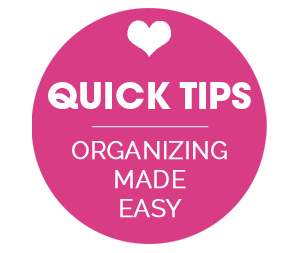 I've been looking at lots of m/u organization lately as I am getting a Malm dressing table and I am just itching to buy some containers. I will probably go with the clear acrylic containers so if I want to change pretty paper or a color theme it will be super easy like the concept here! So fun to have a dressing table! Thanks for sharing. I've been using MAC since my 20s, so I seem to stick with the same thing and don't know too much about other brands. I love the background in the drawers. 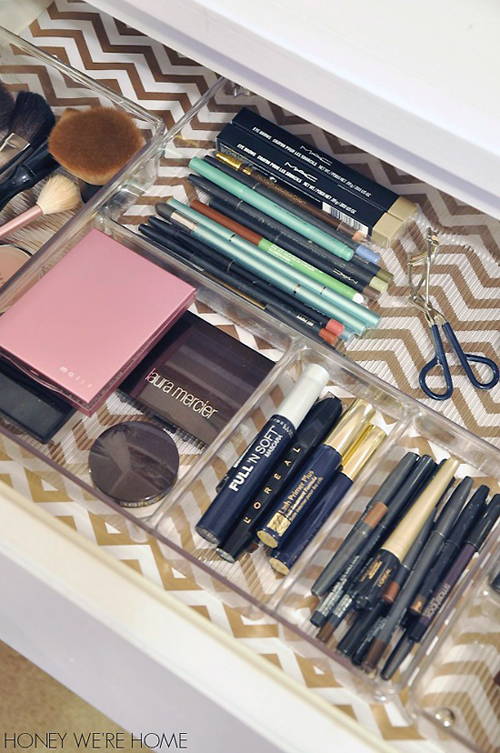 I also love the idea of using the clear drawer organizers to be able to see the beautiful pattern. 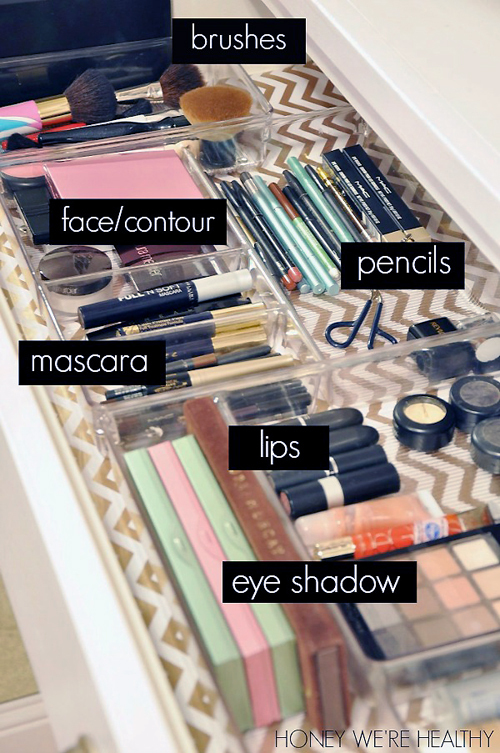 Love this space for your make up. Love the pretty gold chevron paper on the bottom of the drawer. 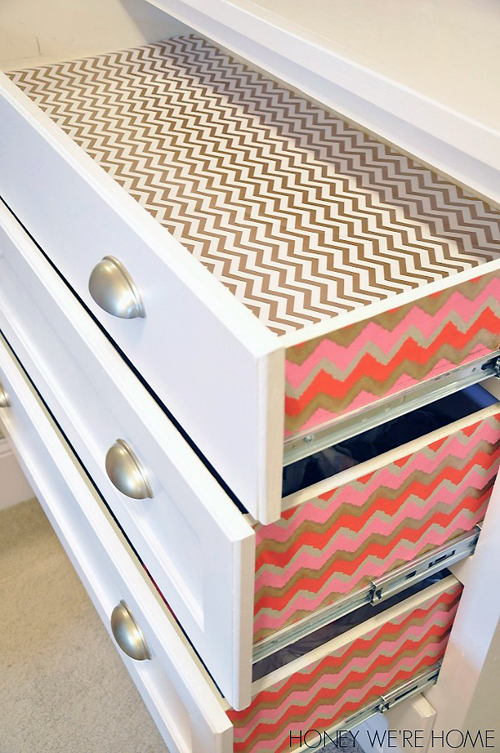 Your chevron drawer paper is absolutely WONDERFUL! Thank you so much for sharing the smiles this morn!! Have a GREAT day. Curious about the cheap blush set - what's the brand? Thanks Megan. I love your ideas in this post. I love having a nice place to keep my makeup. I'll be trying some of these ideas as I do my spring cleaning. Thank you for the tips.